The first of two stages of the US Global Roadshow “Invest in Italy” kicked off yesterday in New York, after those held in Turkey (October 2015) and Japan (November 2015) by ICE – agency that promotes the internationalisation of Italian companies, in line with the strategies of the Ministry for Economic Devel-opment. In the first stage held in New York, Deputy Minister, Carlo Calenda, the President of Cassa Depositi e Prestiti, Claudio Costamagna, and the President of the ICE Agency, Riccardo Monti, met approximately 30 potential investors between acquisition funds and private investors. The workshop “Italy Now: Investment, Opportunity, Impact”, in collaboration with Bloomberg, was of particular interest. Speakers included the Italian Ambassador to the US Claudio Bisogniero, Deputy Minister Calenda who spoke about the measures and policies of the Italian government aimed to attract and sustain foreign investment. Thereafter, the President of Cassa Depositi e Prestiti, Claudio Costamagna, illustrated the strategic role of CDP in the process of attracting investments in Italy carried out in synergy with Unicredit, represented by the Global Chief Economist Erik Nielsen. On this occasion, the definition of a memorandum of understanding between General Electric Avio and the Ministry of Economic Development with the Piedmont, Campania and Puglia Regions was studied in detail. General Electric Avio intends to promote investments in the three Italian regions in research and development activities and production for about 200 million Euros. The delegation travelled then to San Francisco to take part in the second stage of the Roadshow. In the afternoon, in fact, the conference entitled “Healthcare: Italy on the move” took place in collaboration with the JP Morgan Annual Healthcare Conference, the prestigious international meeting dedicated to the eld of biotechnology and life sciences . The event, organized annually by JP Morgan, involves the most important global players in the industry, from big pharmaceutical companies to big international investors, and therefore is capable of catalyzing the attention on other events favorable to Italian companies .After Managing Director and Global Head Healthcare of JP Morgan Robert Huffines’ opening, Deputy Minister Calenda will address a very high profile audience to illustrate the policy measures adopted to benefit the Italian industrial sector and aimed to attract investments in Italy. To support this institutional presentation, a market survey on the state of, prospects and opportunities in the pharmaceutical and biotech industry in Italy was carried out. This survey highlighted the opportunities offered by our country to foreign financial and industrial investments in particular. Speakers included Stefano Pessina, Executive Vice Chairman and CEO of Walgreens Boots Alliance, the largest global group pharmaceutical enterprise. At the end of the Deputy Minister’s presentation, a networking event was held involving about 25 Italian leading pharmaceutical companies (accountable in total for more than 10 billion Euros in sales) allowing them the possibility to confront themeselves with the most important international players. Further meetings with top executives of large innovative companies such as Google, Apple, Tesla, SpaceX and Illumina took place on January 14th and 15th. 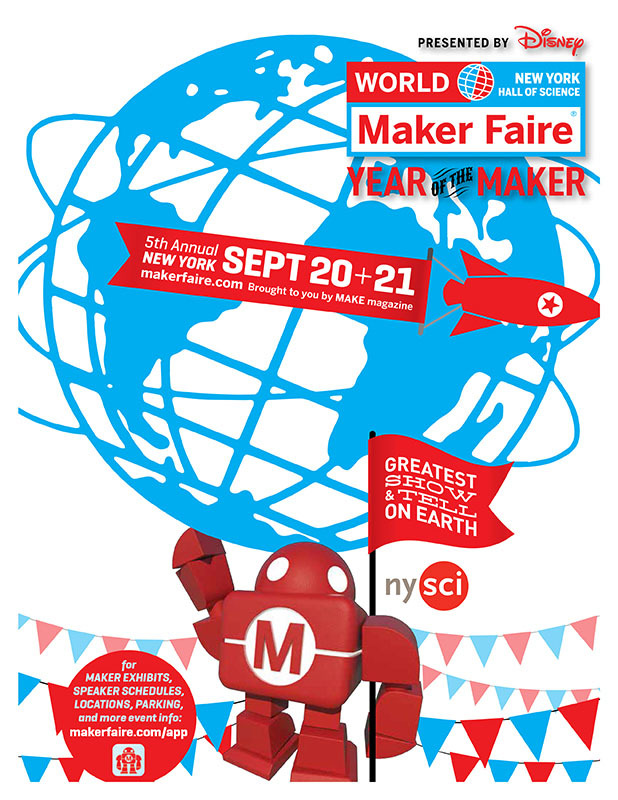 World Maker Faire 2014, the most important show this year, dedicated to advanced and 3D printing manufacturing will take place from September 20-21, 2014 at the New York Science Hall in New York City. To design on one’s computer or tablet and then to print in 3D means you can edit the original project as many times as you want at no extra cost. One will not need years of study, large capital investments nor large economics of scale to be successful. Today, millions of people have access to producing anywhere from a few dozen copies of particular objects as well as to create those which as of today do not exist anywhere on the market. US President Barack Obama has defined the 3D technological revolution as the new industrial revolution. What is World Maker Faire? It’s the answer to the future of manufacturing! It’s the Faire dedicated to 3D technologies that will forever change and revolutionize the world in the 21st Century. Italy, thanks to the efforts of the Italian Trade Agency will establish on a global stage the country’s prominence at this much-anticipated event. The Italian Trade Agency Offices in Rome, Chicago and with the support of the New York Office have coordinated its first ever participation at the US Faire. The Faire is comprised of six principal pavilion areas, dedicated to electronics, 3d printing, advanced manufacturing, robotics, training and scientific research. The 2013 New York edition saw over 75,000 visitors and over 650 exhibitors. 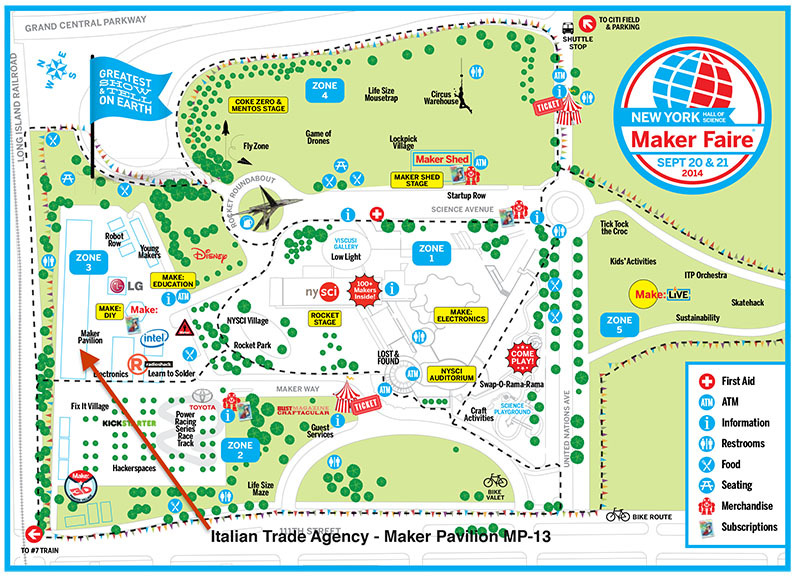 Through Italy’s official institution presence at World Maker Faire 2014, the Italian Trade Agency per this first every country presence, will provide support and assistance to the 11 Italian makers and research centers that will be within the Italian Pavilion. “Maker Faire 2014, is an initiative truly inspired with out of the box thinking in respect to our typical activities and programs for which we are usually known. However, its an opportunity to grasp the changes taking place, not only by our esteemed makers, but also reflects those changes taking place in the world of manufacturing today”, says Matteo Picariello, Trade Commissioner of the Italian Trade Agency’s Chicago Office. “The world is changing and is within a continual state of evolution, as the traditional manufacturing process is moving from a three-phase approach – Design – Production & Sale – then Retail to one of Design – Production and Sale where the production more often then not will be on site of the actual retail point – with transport and shipping, for example ships and trains, no longer being an element in the equation. It’s for this reason” concludes Picariello, “that the Italian Trade Agency sees numerous opportunities for Italian producers to be part of this future and for its traditional manufacturers to become “Corporate Makers”. Just as the means of communication have passed from the telephone to instant messaging, manufacturing is changing its way of doing things. Italy is THE great protagonist of this year’s Summer show! 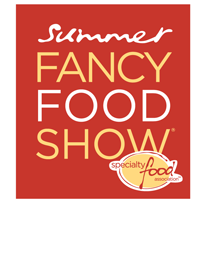 350 exhibitors and almost 30,000 square feet of display area at the Javits Center in New York City, host of the largest and most important food and beverage show in North America and one from the top five such events around the world, that opens on June 29 and closes on July 1. Area ITALIA at the event, organized by the Specialty Food Association, has benefited greatly of the collaboration of the Italian Trade Commission in New York (ICE NY), that has coordinated the participation of Italian companies, eager now more than ever, to expand internationally. Among the fundamental tasks performed by ICE NY: circulating the initial information on the show among the Italian entrepreneurs, gathering the applications and providing all types of assistance to the companies who registered and, no less significant, ensuring the presence of the country’s exhibitors in the official show catalog, both in print and online. ICE NY has provided a marketing service upon request of the interested Italian exhibitors, aimed to enhance their visibility at the show by means of a mailing destined to reach the US importers, distributors and brokers listed in the ICE NY office data base. Last but not least, the all too important work of assistance to the Italian exhibitors is being provide on a daily basis by ICE NY. The questions range from show logistics to contacts with the show organizers and vendors, from information on the US legislation to counseling on how to better present the products on the American market. The personnel of ICE NY will be on hand at the show site starting the morning of Saturday, June 28, to provide help with the booths set-up and decoration and respond to any requests the Italian exhibitors may have. In short, a veritable task force fully dedicated to Italy itself and to its emissaries at a show which is considered by the persons involved as the true “Event of the Year”. We’re really proud of the efforts of these few months – says Pier Paolo Celeste, Italian trade commissioner and coordinator of ICE North America – we’re entering the show days with the certainty that, not only are we the country with the largest participation, with 350 exhibitors, we are also totally ready and prepared to obtain the maximum of results during almost a week of trade contacts toward which all of us have been practically working for the past year. I have talked to the managers of a number of companies that exhibit at the show – Celeste continues – and I sensed their determination and their conviction that the formula Italian product – American networking can and must be very successful. ICE is dedicating a great part of its work to this purpose. Yes, everyone knows our products are undoubtedly exceptional but we must continue tirelessly to tell their story and sell them, methodically, systematically and passionately. This is the mission of ICE, particularly now, when the American market is increasingly showing its appreciation for the excellence, quality and pure goodness of the Italian products. I dati di marzo appena rilasciati dal Department of Commerce, rilevano un totale di 9,5 miliardi di dollari dall’Italia nel primo trimestre dell’anno, un aumento del 7,7% rispetto agli 8,8 miliardi registrati per il primo trimestre 2013, confermando un inizio anno positivo per i prodotti italiani il cui andamento è migliore del totale importato dal mondo (in crescita del solo 1,8%) e dall’UE (+6,3%). Il saldo attivo dell’Italia è di oltre 5 miliardi di dollari e cresce la quota di mercato (1,73%, rispetto all’1,64% del marzo 2013). Tra i Paesi principali fornitori degli USA l’Italia mantiene l’undicesima posizione e tra i Paesi UE continua a posizionarsi come quarto fornitore, dopo Germania, Regno Unito e Francia, con una performance che nel primo trimestre ha superato quella del Regno Unito, le cui esportazioni verso gli USA sono cresciute soltanto del 2,8% rispetto al primo trimestre 2013. Vediamo l’andamento dei settori: la meccanica si conferma al primo posto, con una quota del 22,1% sulle importazioni italiane in USA (in aumento rispetto al 20,2% del primo trimestre 2013), seguita da moda (16,3%), agroalimentari e vini (10,6%), veicoli terrestri (7,9%), farmaceutica (5,4%) e arredamento (4,6%). Continua la contrazione delle importazioni italiane in USA nel comparto chimica e derivati del petrolio (-31%), delle macchine elettriche (-8,5%), oggetti d’Arte, da Collezione o di Antichità (-4,5%) e gioielleria (-2%). I settori cresciuti maggiormente in valore sono: Veicoli terresti (+58%); Meccanica Strumentale (+31%), Aerospazio (+17%) e Moda (+11,6%). In contrazione le importazioni dall’Italia di prodotti a tecnologia avanzata (817 milioni di dollari, dai 1.070 milioni del 2013) con la conseguenza che il “peso” del raggruppamento diminuisce nel paniere dei prodotti totali (dal 12,2% all’8,6%). Tra i settori in forte diminuzione in termini di valore rispetto al 2013: Life Sciences, Automazione flessibile e Elettronica. Per quanto riguarda le quote sui prodotti ATP dall’Italia, vediamo l’Aerospazio (53,1% sul totale ATP), Life Sciences (14,4%) e Automazione flessibile (11,62%). This March 18th, the Italian Trade Commission launched the first installment of a dynamic Round Table series set to unfold this year at its New York Headquarters covering a broad spectrum of topics. Journalists from the Wall Street Journal, Town & Country, Everyday with Rachel Ray, Epicurious and Food Arts among others joined Italian Trade Commissioner, Pier Paolo Celeste, for an intimate luncheon in his office. Later that evening, he welcomed artists, foodies, authors and journalists from Reuters, Daily Zester, Wine Enthusiast and Men Who Dine, to name a few, for a delightfully unceremonious reception. Food Historian, Francine Segan, featured at the luncheon and reception, curated a fabulous authentic tasting menu all the while sharing anecdotes on Italian Cuisine, Culture and food inspired Italian expressions such as avere sale in zucca and spaghettata di mezzanotte whose meanings transcended cultures and were readily embraced by those in attendance. Lively conversation erupted almost instantaneously covering a myriad of topics and shared experiences. The fanciful table setting crafted from a patchwork of Italian journals, strewn with vibrantly hued peppercorns, aromatic herbs anchored by delightful edible centerpieces intrigued guests. The exchange at lunch was relaxed and completely organic resulting in a memorable afternoon shared. To commemorate this collective experience, the Trade Commissioner invited journalists to sign a copy sixteenth century grocery list contrived by Michelangelo before departing. Later that evening, Celeste made a special toast thanking guests for partaking in the series launch event and invited them to watch a short film celebrating Italy’s bounty and its important relationship with the United States. Authenticity, provenance and the story behind Italy’s artisanal products were certainly the protagonists that day and again later that evening. The enthusiasm of the guests and the accolades that followed were a testament to the success, format and function of this newly launched series. Comments included “Fantastic Event”,”Brilliant Selection of Dishes”, “Great Learning about your Objectives”, “We embrace the culture connected to Wine”. New York, January 2014 – Arts & Tannery returns to New York City this February for the presentation of the latest trends in leather. The event is organized by the Italian Leather System Consortium together with the Italian Trade Commission and it will take place at the Midtown Loft and Terrace on February 4th and 5th, 2014, from 9:00 am to 5:00 pm. The Italian tanneries exhibiting will present their Spring/Summer 2015 collections, selected specifically for the American market. Visitors to Arts & Tannery will be able to view products and materials, as well as participate in trend presentations presented by the Italian Leather System highlighting the trends, ambiences, themes, and colors for the upcoming season. Arts & Tannery is an exclusive event exhibiting the highest quality in Italian leather products. It is a unique and useful opportunity for those seeking the latest in materials and is a vital reference for those designing collections for footwear, handbags, and clothing. Today there is an even bigger demand for Italian leather and components in the US. In recent years, the leather industry regained its leadership among the suppliers to the US with a market share of 25% for the period of January/November 2013, with Brazil, Mexico and Argentina following behind. The 12 exhibitors for the February edition are: A Tema Conceria, Accoppiature Pisane, Atlas Conceria, Benericetti, Bo-Pell Conceria, Conceria Urgnano, Mohai Conceria, Natural Pelli, Pellegrini Group, Ri.Pell Conceria, Sanlorenzo, and Ta Bru. On February 4th and February 5th, at 10:00am and 1:00pm, Gianluca Gori of the Italian Leather System will give a presentation about trends in leather, accessories, and components for shoes, handbags, and leather goods for the Spring/Summer 2015 season. The new trends are: 1. Dunetrip, 2. Uploaded, 3. Sunkissed, 4. Faceframe. To attend the trend presentation, guests must be registered for the show. Please register online at www.artsandtannery.com. Representatives from some of the most important fashion names attended the past events including: Zac Posen, Donna Karan, Calvin Klein, DKNY, Michael Kors, Marc Jacobs, Kenneth Cole, Saks Fifth Avenue, Tumi, Sigerson Morrison, Nine West, Banana Republic, Polo Ralph Lauren, Coach, Brooks Brothers, Cole Haan, Liz Claiborne, Club Monaco, Kate Spade, Andrew Marc, Tommy Hilfiger, Oscar de la Renta, Jimmy Choo. The Italian Trade Commission is the Italian government agency entrusted with the mission to facilitate contacts between Italian companies and the rest of the world. In the United States our objective is to expand relations between Italian and American companies and to develop trade between Italy and the US. To attain this goal, we provide information, assist companies in selecting sectors and partners, promote products through exhibitions, b-to-b meetings, tradeshows, seminars, trade delegations, tastings and media campaigns both in Italy and the US. Our global network consists of 75 offices in 65 countries. Our US offices are located in New York, Atlanta, Chicago, Los Angeles and Miami. The Italian Leather System is a consortium that brings together the best of Italian companies working in leather manufacturing. The Consortium was formed to serve as a platform for the exchange of ideas and experiences. The primary objective of the Italian Leather System is to present the excellence of Italian products, thanks to the contribution of the diverse companies that make up the consortium. I am especially pleased at present because the 2013 third quarter data of US imports from Italy confirm that this is the right moment to approach the US market. A comparison of this January-September 2013 data with the same period last year reveals that while both US world imports have decreased 0.9% as have imports from the European Union; US imports from Italy grew over 3% equal to 28.4 billion dollars bolstering Italy’s active trade balance by approximately sixteen billion dollars. We are firmly positioned as the eleventh export country carving out an overall 1.7% market share. Beyond the numbers, what is unambiguous is the wide matrix of products exported from Italy: foremost machinery (20.4% of the total) showing 7.7% growth in the first nine months. Fashion (15.8% of the total) most notably, apparel (+6.6%); footwear (+7.1%), jewelry and gold (+10.9%) and finally Food and Wine (10.1% of the total). It is surprising that the figures reported for the wine sector ($ 1.1 billion) exceed those reported for the apparel sector ($ 1 billion) representing an increase of 9.3% in the first nine months of 2013. Rounding out the product mix is home furnishings (4.9% of the total) of which furniture has exhibited significant growth of 17.2%. Moreover, land vehicles, pharmaceuticals and precision instruments have all grown by double digits. I have mentioned emblematic products for which our country is already well known stateside. It is however important to note that a significant share of the product mix is comprised of advanced technology representing 11.1% of total imports from Italy with double digit growth reported in the following categories according to 2013 third quarter data: Aerospace (+38.6%), Biotechnology (+20.6%), Life Science (+16%). These numbers confirm that Italian products have not only consolidated their presence in this vast market but are valued and sought after. Expected GDP growth has been adjusted to 3.6% from 2.8% mirroring the scale of Italian offerings present in the US marketplace. Industrial production stateside rose 0.8% overall. Construction, a typical measure of a country’s progress, grew 13% in September, with a greater rise in non-residential construction (+24%), hotels (+19%) and health (+144%). Figures which have all contributed positively to boosting the Consumer Confidence Index to 71.2%. Given the circumstances, it was only natural that the Italian Trade Commission react immediately to present market conditions to take full advantage, on behalf of Italian companies, of the opportunities presenting themselves. For this reason 2.5 million euros, projected to double with private investment, have been allocated to support 2014 market initiatives. These resources will benefit the following sectors: Fashion (35%), Machinery (30%), Cycles/Motorcycles (10%), Publishing and Cinema (10%), Biotechnology (8%) Boating & Shipbuilding (7%). For each sector initiatives will be implemented utilizing a Marketing Mix that will include local events, product presentations, B2B meetings and incoming trade missions to Italy. Moreover, additional initiatives will supplement the above mentioned at the direct request of interested parties. In 2013, trade and marketing activities were executed on behalf of: five regions (Piedmont, Umbria, Sicily, Tuscany,Trentino), six trade fair organizations (Milan, Verona, Cesena, Rimini, Bologna, Parma), four institutions (Confindustria Venezia, Confindustria Roma, Centro Estero del Piemonte, Confindustria Ceramiche) in addition to two group participations (Politecnico Marche, ANSA) in trade fairs organized with private funding that included the participation of 230 companies. This list aims to prompt other institutions, their marketing managers and export directors to consider the United States, at present, a market in which maximum attention should be focused. Another key resource available to companies is the Sistema Italia or rather Italy’s network of counterparts operating cohesively in the US in order to maximize the success of market initiatives. The Italian Embassy together with its Consulates, Cultural Institutions, Enit – National Italian Tourist Board and Chambers of Commerce all interact to ensure maximum exposure for Made in Italy. The Italian Trade Commission is ready to welcome and follow companies in their pathway to America. The Italian Trade Commission is structured to actively partake in this process in a more dynamic fashion as it: Is a single office with five ports of access: New York, Los Angeles, Chicago, Miami and Atlanta. Maintains specialization across sectors but at the same time has an integrated market approach. Executes initiatives in affluent target markets around the United States especially seeking out areas where international business competition wanes. Combines product category sectors with important assets such as Culture and Tourism in pursuit of resource optimization. A fine example of integration across ministries is the collaboration with the Environment Ministry which has opened a desk at the Italian Trade Commission’s New York office in order to better be able to seize opportunities arising in the great American continent in terms of energy renewal, green economy, energy efficiency and waste management. Issues which contrary to belief are eminently pertinent for this country which currently finds itself facing a shortage of solutions and has only just begun to address them seriously. I would also like to anticipate the timely work that the office will undertake on behalf of start ups; launching a series of initiatives that coalesce the Italian offering to be presented in foremost authoritative forums. The Italian Trade Commission, under the new legislation created on behalf of start up and digital companies, is actively participating in “diplomacy of growth” and is poised to introduce our “digital artisans” and the new Made in Italy to the American marketplace which is expected to contribute to the change in perception of our country’s image. This will be the pragmatic and structural asset that I wish to underscore and which will directly correspond to a work structure that will engage key trade figures with actual market presence. Every idea will be tested within the target market to confirm the efficacy, timing, and execution approach in order to generate initiatives that are “guaranteed” with regard to the potential results they will procure based on the return on investment, sector permitting, on a short to medium investment horizon. This realistic approach demanded by the US market is what marked the efforts of the Ministry of Economic Development to employ a strategy that will raise the visibility of Italian products in the USA especially in light of the conclusion of the TTIP (Trans-Atlantic Trade and Investment partnership). This agreement will seek to reduce and hopefully eliminate the tariff and non tariff barriers that exist between the United Stated and the European Union. A recent study by Promoteia predicts that Italy will be among the countries to benefit most from this partnership in so far as a broad extension of the liberalization agreement could positively impact our economy and in the three years following its application, increase GDP growth half a point ( 5.6 billion euros) occupying an additional 30,000 job posts. Another important occasion that will afford great visibility to our country in the United States will be the l’EXPO 2015 in Milan; whose theme will be “Feeding the Planet”. During our frequent meetings with American counterparts, I sense a growing interest toward the EXPO which indeed could be extremely favorable with regard to specific initiatives proposed and will anticipate what is to come at the Expo. The show organizers predict 20 million visitors, a fifth of which will come from this country. The Italian Trade Commission together with the Sistema Italia in the United States would like to take this opportunity to grow this number. In April 2013 he was appointed director of the Italian Trade Commission office of New York and coordinator of the Italian Trade Commission offices in the United States..
Born in Rome, he majored in Political Science at the University La Sapienza of Rome. He later earned a Master’s Degree at in Public Administration from Sole-24 ORE. 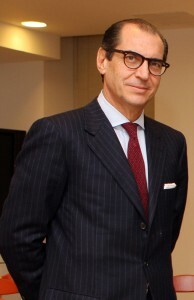 He began his career at the ITA – Italian Trade Commission in 1982. As part of ITA he has in several product offices and has directed offices in Turin , Trieste , Genoa, Milan and Warsaw. While at Headquarters he has held various positions including: Director of the Services Department , Director of the Department for the Promotion and Internationalization; Capital Goods Department, Technology Department, an the Planning and Controls Department. He is also a member of the Scientific Council DISET (Department for the Development of Regional Economies at the Presidency of the Council of Ministers) , the Scientific Committee of Innovation, at the University “La Sapienza” of Rome, the Board of Directors of RiTspa (Società Rete Italia Internazionale Spa), and the Board of Directors of INFORMEST (Agency for Development and International Economic Cooperation ). In addition to his work at the Italian Trade Commission, Dr. Celeste was, from July 2004 to September 2008 , a member of the Board of Directors of INAIL (Workers Compensation Authority) as an expert in public administration. While a board member at INAIL he was President of the trade union negotiations Committee, the Budget Committee, and a member of the Committees for Prevention, Advocacy, and Investments. New York, NY (January 10, 2014) – The International Culinary Center’s School of Italian Studies (http://www.internationalculinarycenter.com/italian/), in collaboration with itchefs-GVCI (http://www.itchefs-gvci.com/ ), under the auspices of the Italian Trade Commission (www.italtrade.com), will host the launch of the seventh annual “International Day of Italian Cuisines” (IDIC) on January 17, 2014 at the International Culinary Center in New York City. The International Day of Italian Cuisines (IDIC) is an annual event dedicated to preserving the authenticity and quality of Italian gastronomy and food ingredients throughout the world. 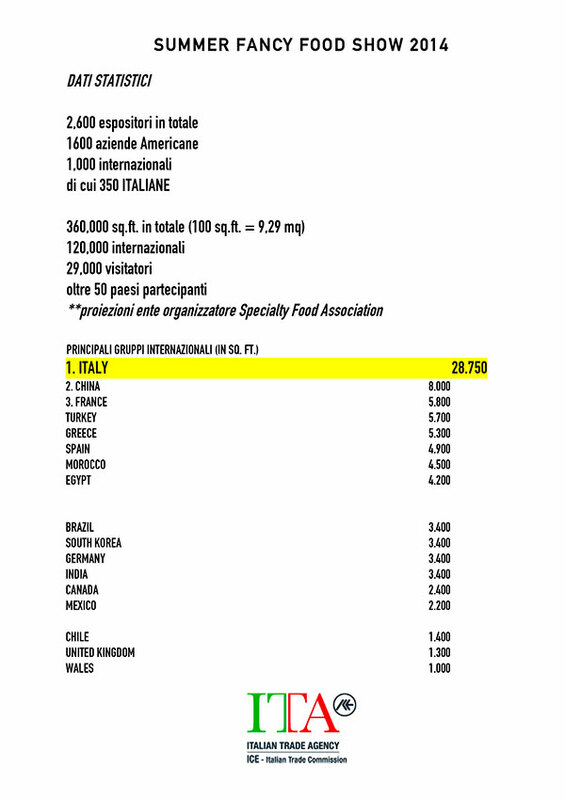 On January 17, hundreds of chefs in 70 countries, as well as Italian food lovers around the globe, will prepare the official dish of the IDIC 2014 according to the authentic recipe. This year’s recipe is “Spaghetti al Dente with Tomato Sauce and Basil.” Originating in Naples, this dish, which became very popular in the States beginning in 1920, is the dream of Italian cuisine, the magic of a mix of ingredients, wisdom and history that very few other dishes in the world have. Unfortunately this dish is frequently forged and misinterpreted. This year, Master Chef Enrico Bartolini from Milan, one of Italy’s premier, two-Michelin-starred chefs, will be headlining the event in New York City. The day will feature Italian Master Chefs and artisans as they prepare a variety of Italian culinary specialties via demonstrations, presentations and tastings. The event will also feature Matteo Bergamini of SD26 Restaurant in New York City, and Luca Signoretti of Roberto’s Restaurant in Dubai (UAE). The three chefs, all under 35, represent a new generation of talented new Italian chefs, though well rooted in tradition. The Italian Cuisine in the US Awards and the Best Emerging chef of Italian Cuisine in New York Award will be presented to their winners during the event. 10:00AM: Demonstrations & Tasting: The ingredients of the most popular Italian dish, Spaghetti al Dente with Tomato Sauce and Basil highlighting high quality and traceable Italian Extra Virgin Olive Oil, the rebirth of quality Italian Spaghetti , the importance of tomatoes & Grana Padano cheese. Live video conference with Pompei – Naples ((President Restaurant) and Milan (Villa Torretta Hotel) where prestigious chefs will hold major celebrations of IDIC in Italy. School of Italian Studies and renowned chef-owner of Salumeria Rosi in New York City. For more information on the School of Italian Studies, visit: http://www.internationalculinarycenter.com/italian/watch-video.htm. www.Itchefs-GVCI.com is the voice of a network of chefs, restaurateurs and culinary professionals working in the Italian culinary industry outside of Italy. They belong to the moderated internet forum of GVCI, which stands for (in Italian) Virtual Group of Italian Chefs and has more than 2200 associates working in 70 countries around the world. 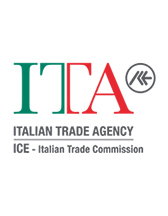 ITA – Italian Trade Commission is the Italian government agency tasked with the mission to promote Italian goods and services abroad. In the United States our objective is to expand relations between Italian and American companies and to develop trade between Italy and the US. To attain this goal, we disseminate information, we assist companies in selecting sectors and partners, we promote products through b-to-b meetings, trade shows, exhibitions, seminars, trade delegations both in Italy and the US, and through tastings and media campaigns. Our global network counts 75 offices in 65 countries. In the United States we are located in New York (coordinating office for the US) , Atlanta, Chicago, Los Angeles and Miami.